Sometimes it’s hard to tell when you’ve had too much to drive. You probably felt fine, and you’d never willingly endanger the lives of other people; after all, you know drunk driving is illegal, and you don’t break the law. So we’re willing to bet that those red and blue flashing lights surprised you – and when you realized what was happening, that’s when the fear set in. Never underestimate the impact that a driving under the influence (DUI) conviction can have on your life. Not only could you lose your license, but you’ll be fined thousands of dollars, and you may have to go to jail. That’s why you want a Knoxville DUI defense lawyer you can trust. You want an attorney from Banks and Jones. For more than 25 years, we’ve helped people – just like you – by upholding their rights, and fighting for their futures. First offense. For a first-time DUI, you face from 48 hours to 11 months and 29 days in jail. If your Blood Alcohol Content (BAC) was over .20, it’s a mandatory 7-day jail sentence. Other penalties include a one-year license revocation, $350 to $1,500 in fines, installation of an ignition interlock device (IID) in your vehicle, and enrollment in a drug and alcohol treatment program. Second offense. If you’re convicted of a second DUI offense, you could receive from 45 days to 11 months and 29 days in jail. You may be required to pay $600 to $3,500 in fines, and your license could be revoked for up to two years. Also, you will be enrolled in a drug treatment program, your vehicle may be seized, and you may have to install an ignition interlock device in your vehicle. Third offense. Third-time offenders face from 120 days to 11 months and 29 days in jail, $1,100 to $10,000 in mandatory fines, license revocation of between six and 10 years, and enrollment in a drug and alcohol treatment program. Your vehicle is subject to seizure, and you may be ordered to install an IID. Fourth and subsequent offenses. Your 4th DUI conviction is a Class E felony. You will be sentenced to 150 consecutive days in jail, but you could be in there for up to a full year. The fines range between $3,000 and $15,000, and you’ll lose your license for 8 years. Your vehicle could be seized, you may be required to have an IID installed, and you will be ordered to attend counseling. Field sobriety tests are universal: every state in the country uses the same Big Three (the one-leg stand, the walk and turn, and the horizontal gaze Nystagmus test), though there are a small handful of others that might be administered in different towns in Tennessee, and in different states. The purpose of administering a field sobriety test is to help an officer determine if a driver is intoxicated. The truth is, you don’t have to take a field sobriety tests. You have every right to refuse. But if you are like most people, and end up taking the FSTs, don’t panic: it’s well-known that these tests are often inaccurate. Between faulty machinery, human error and a host of other outside factors, it is entirely possible to have the results of an FST thrown out or kept out of court completely. 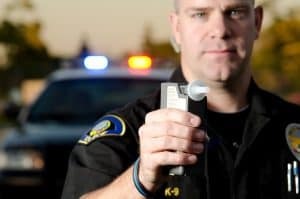 Many officers rely solely on data collected from FSTs and subsequently detain and arrest citizens who have blood alcohol concentrations (BACs) that are less than the legal limit of .08 percent. If the test is inaccurate, however, then the reason for your arrest may go away, too. Now, we know we just said that you can refuse the sobriety tests – and you can. But Tennessee has something called “implied consent,” which means that by virtue of you getting behind the wheel, you’ve given your consent to be tested. So, if you refuse the tests, you’ll still lose your license for 12 months. So if you’re going to have your license suspended anyway, why not take the test? Simple: if there’s no BAC test, then there’s no concrete proof that you were too impaired to driver. A DUI is a criminal charge; a Breathalyzer test that says you blew a .10 is evidence of the crime. You are innocent until proven guilty; it is the State’s job to prove that you committed a crime. Their job gets much harder if you deny them evidence. What is the difference between a DWI and a DUI? 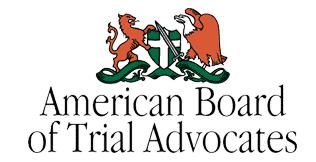 There is a zero-tolerance policy for those under the legal drinking age of 21, meaning that even a blood alcohol concentration (BAC) of .02 percent could result in a DUI charge. If your son or daughter is arrested for underage drinking or for drinking and driving, it is vital that you seek help form a Knoxville DUI attorney as soon as possible. Your child could face a driver’s license suspension of up to one year or until his or her 17th birthday — whichever is longer. And subsequent drinking offenses can result in much harsher penalties. Our attorneys support minors and help them seek penalties that are rehabilitative rather than punitive whenever possible. Beating a DUI charge requires the counsel of an experienced lawyer from a reputable law firm. At Banks and Jones, we fight aggressively for DUI defendants every day. To find out how we can help you, call our Knoxville DUI defense lawyers at 865.407.2122 or fill out our contact form. We are located within a quarter mile of every major thoroughfare in Knoxville.